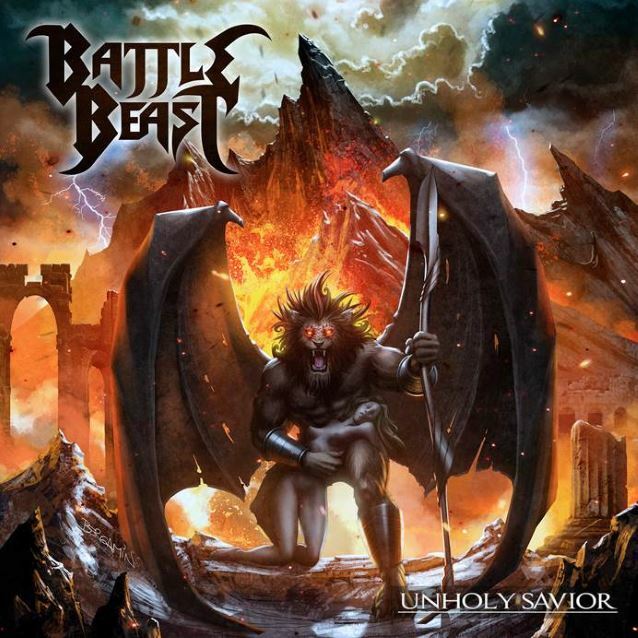 Finnish female-fronted metallers BATTLE BEAST will release their third studio album, "Unholy Savior", on January 9, 2015 in Europe and January 13, 2015 in the U.S. via Nuclear Blast. "I thirst to go further as a human being and the music on this album represents a part of the ongoing spiritual journey — that's what I tend to I call it — which is my road onward," says BATTLE BEAST guitarist and vocalist Anton Kabanen. "Music-wise, the songs have been expanded to a wider area as an effort to call out emotions close to those I myself had during the times of birth of these songs." He adds: "Like always, I wrote songs about the series 'Berserk', as well, and the reason behind writing songs about that particular series is that I can strongly relate to that, especially to certain characters and to their way of thinking and feeling." BATTLE BEAST's self-titled sophomore album entered the official chart in the band's home country of Finland at position No. 5. Released in Europe on May 17, 2013 via Nuclear Blast Records, the CD was produced and mixed by the band at JKB Studios in Helsinki and mastered by Mika Jussila at Finnvox Studios. The cover artwork was created by Claudio Bergamin (HALFORD, ARJEN A. LUCASSEN, MAGICA). 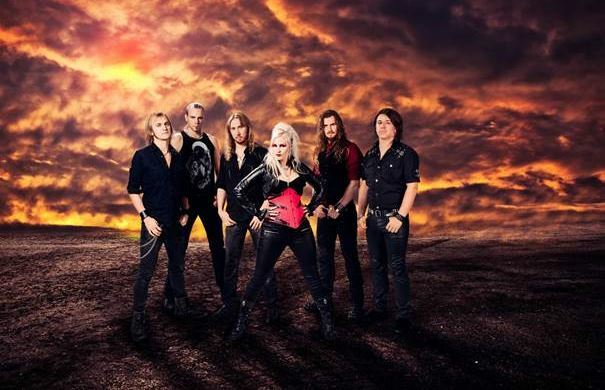 In an interview with Metal Divas, Noora explained how she ended up fronting BATTLE BEAST: "[In] September , I got a call from Anton [Kabanen, guitar] that they want me to join BATTLE BEAST. I had heard their music and loved the sound and the vocals, so the next day I called Anton and said I'm in.